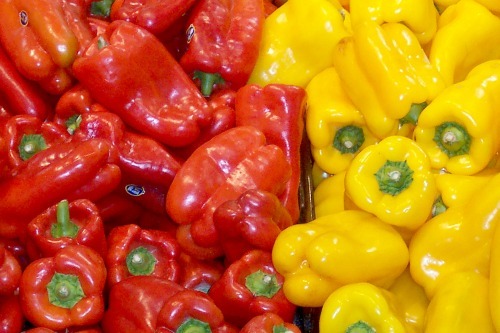 I see these cute, colorful little peppers in the grocery store all the time and I just have to buy them. Like a green bell pepper, they are sweet, crisp and crunchy. I snack on raw as well as use for cooking. One of my favorite dishes to make is stuffed peppers. Normally I make them traditional with rice, ground beef and sauce. This time we wanted to try something different. 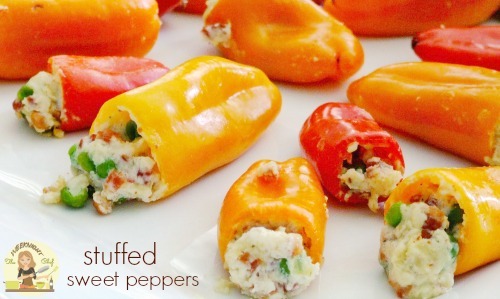 These bacon & cheese stuffed sweet peppers were a huge hit, even the kids liked them. They usually won’t eat the traditional stuffed peppers! These little guys make a perfect appetizer, lunch or side to a big Italian meal! Add the mozzarella, parmesan, bacon, seasonings and garlic, Mix.